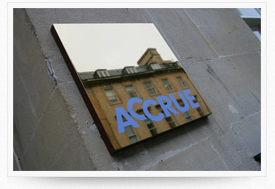 In a world where personal service and contact is a rarity Accrue has a single focus – personalised investment management services. We are independent. We have no ties to any fund managers, banks or insurance companies and are able to deliver impartial advice. We have an experienced investment management team, who will work closely with you to ensure that the investments in your portfolio best meet your personal objectives. Based in Bath, we are large enough to offer the highest standard of investment management, but small enough to treat all our clients as individuals.